I have some days off this week which I'm promptly going to spend playing video games and hanging with friends. I started early today; picked up a copy of World of Warcraft's latest expansion Cataclysm (and if the advertisements on TV indicate anything, chances are even if you're not a gamer you know what I'm talking about). The game, if you didn't know, is divided into two factions: Alliance and Horde. 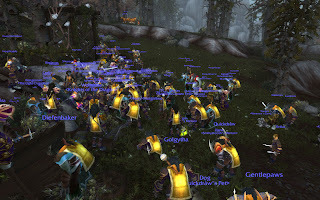 The first character I ever created was on Alliance, but pretty much after that everyone has been Horde. I love the gothic, ruined architecture of the Undead's area, for starters. 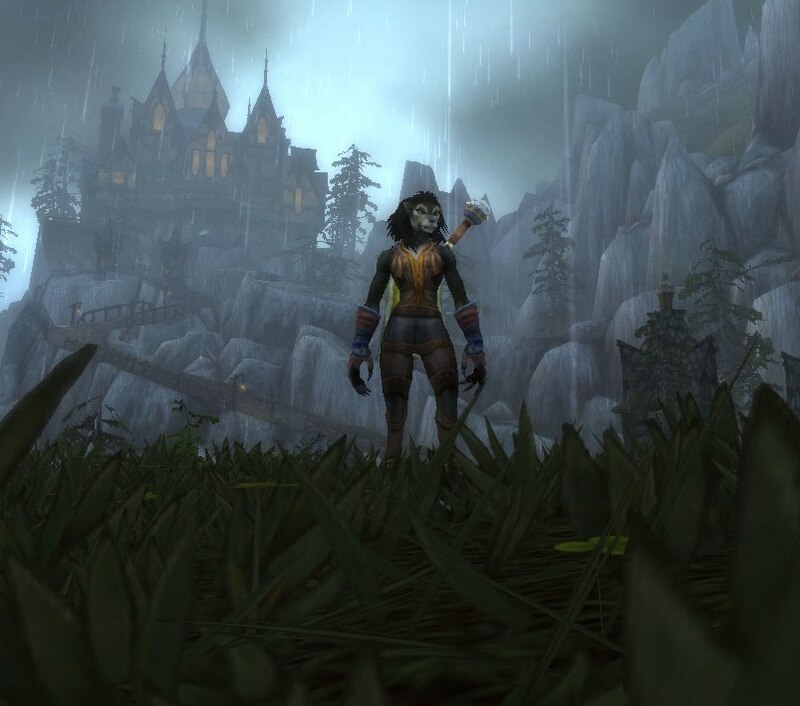 Anyway, I've almost exclusively played Horde characters when I've played off and on over the past 5 years. So with this latest expansion I thought I'd give Alliance a go again since they have basically a werewolf race (Worgen) that has an equally gothic and dark area and history. Now, as you know, World of Warcraft is incredibly popular. So you can imagine with a new expansion and new races and areas to explore, it would be congested at times. Like last night. Here's a screenshot of a lot of other players trying to get at a poor little Chance the Cat to complete a quest required to leave the Worgen starter area.